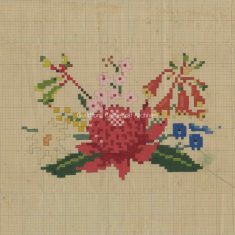 3 patterns for the Australia Kneeler, two card and one paper. 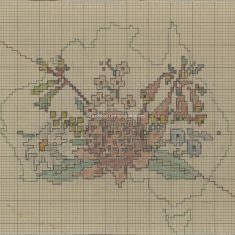 a) is a biro and coloured pencil outline on squared paper, b) is a pencil and watercolour partial design on squared paper with the annotation “St Peter’s Mothers Union Brighton Beach Victoria Australia” on the reverse and c) is a pen, pencil and watercolour draft design on squared paper. 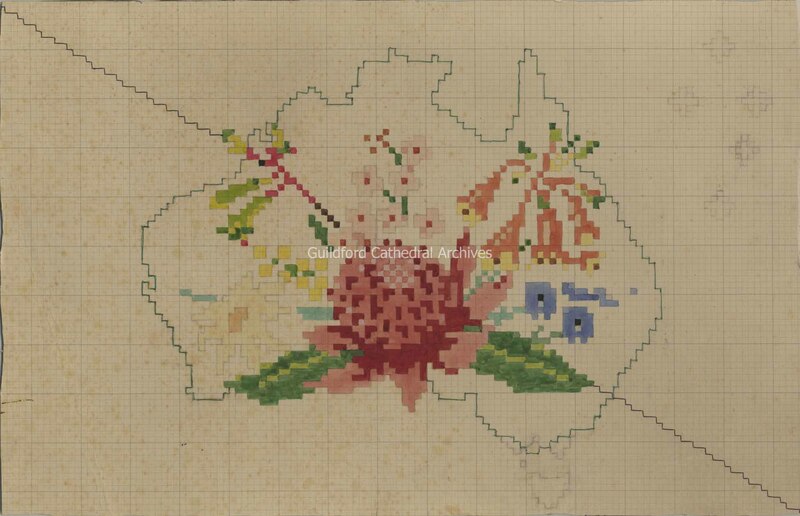 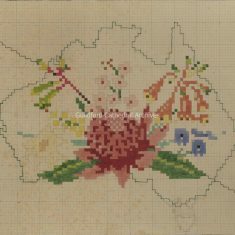 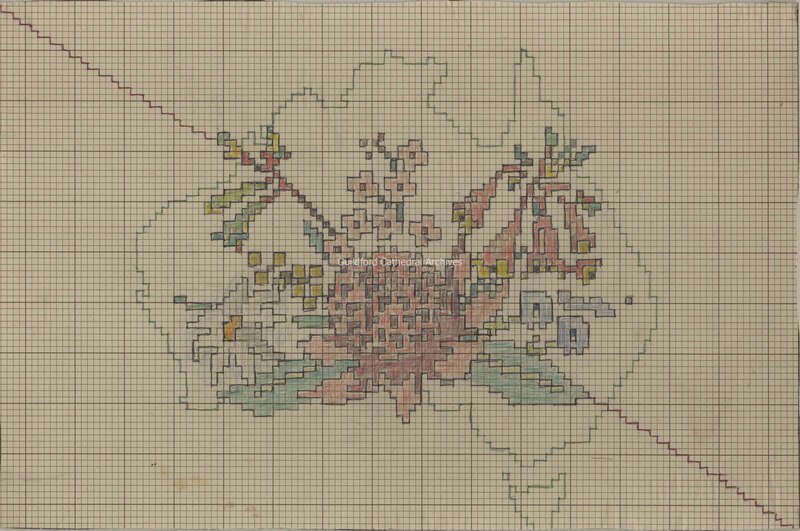 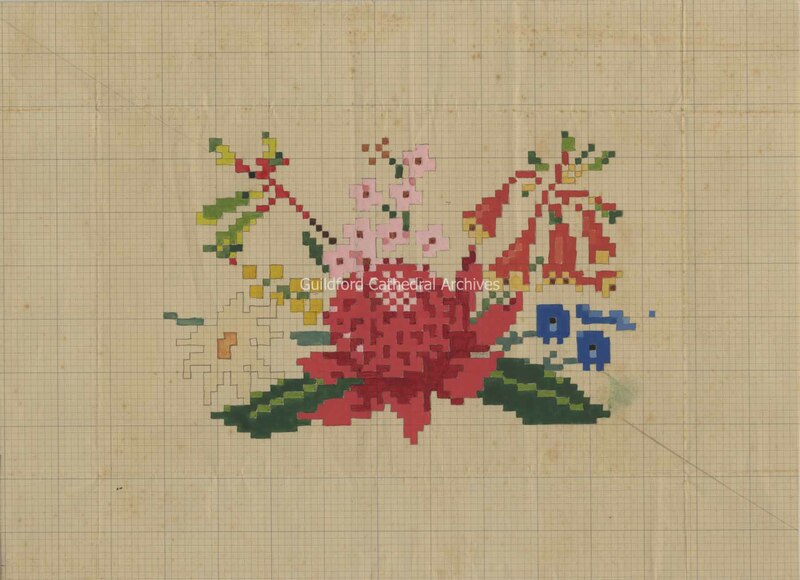 The design shows an outline of Australia with flowers in the foreground.